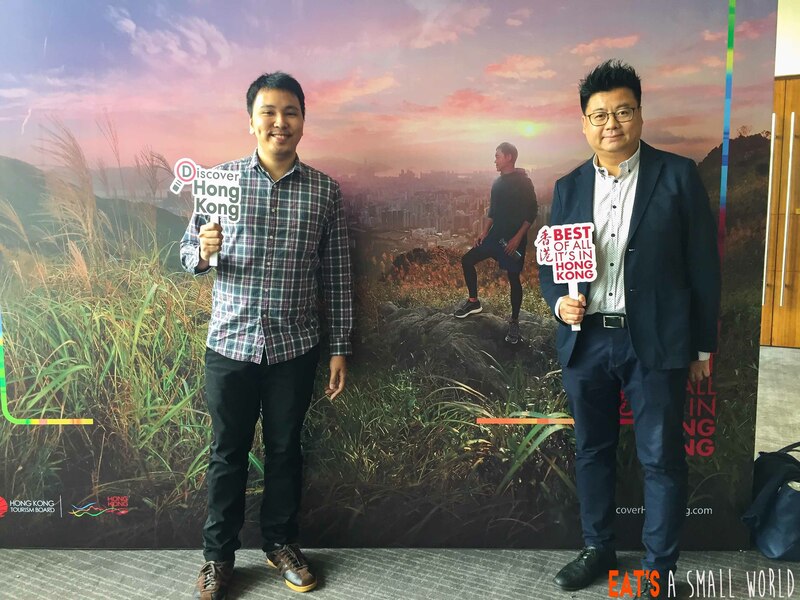 Last January 24, 2017, the Hong Kong Tourism Board launched it’s brand new campaign, “Best of all, It’s in Hong Kong”. 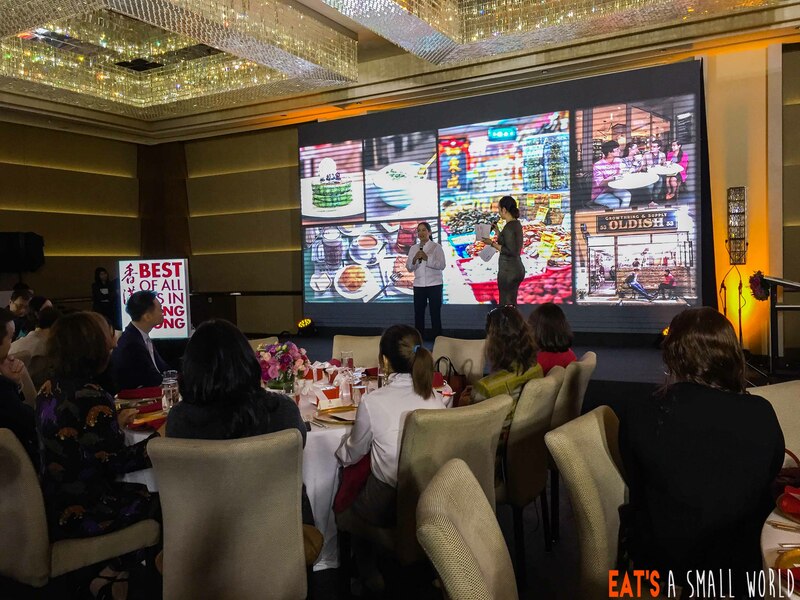 The event took place in Ascott Hotel in BGC and EAT’S a Small World was invited. We’re glad to share with you what Hong Kong has to offer to us Filipinos this 2017. The moment I heard that Chef Margarita Fores will be serving Hong Kong inspired dishes at the press launch, I really felt excited. As we know, she was voted “Asia’s Best Female Chef” in 2016 and we really love Cibo (the Italian restaurant she and her siblings founded) so expectations are high. 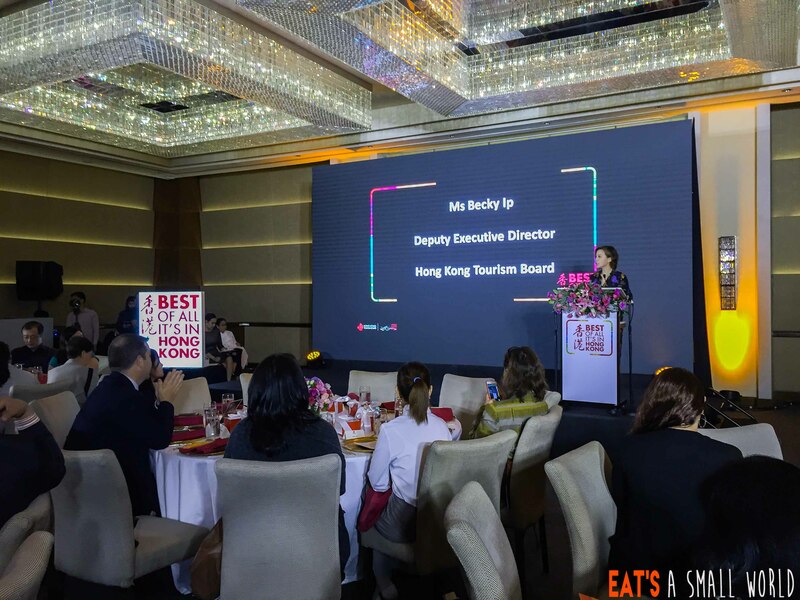 Becky Ip , the Deputy Executive Director of Hong Kong Tourism Board gave us a short background about what was to transpire that afternoon. 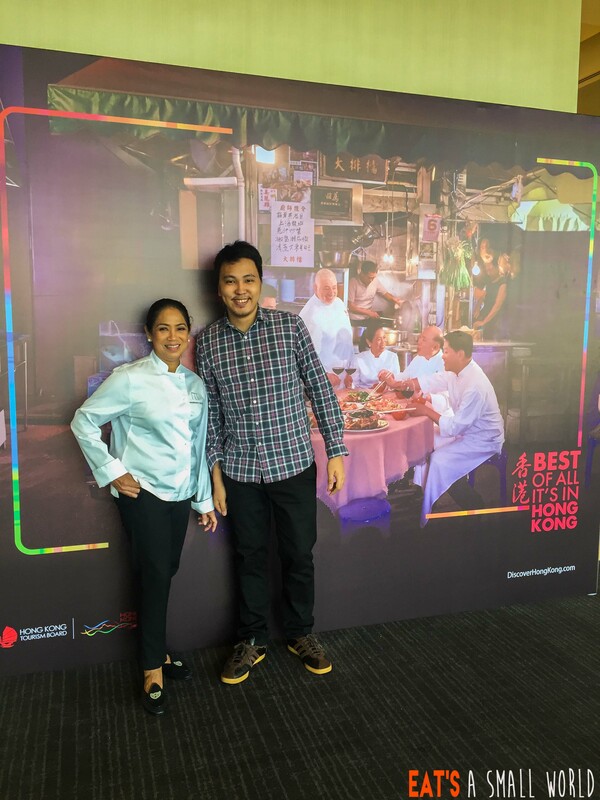 Chef Gaita was happy to share her dining experiences with us in Hong Kong which we all know is one of Asia’s culinary capitals. 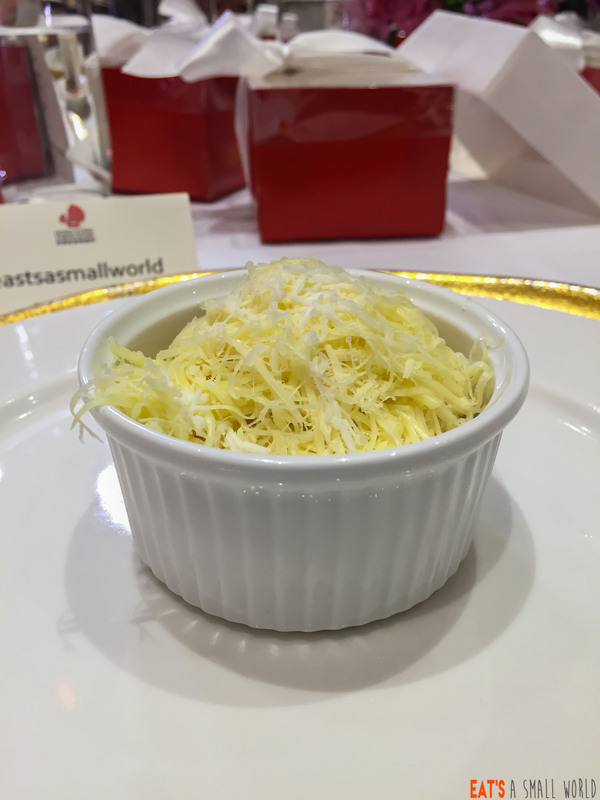 The savory crab custard was truly a winner! It was very tasty and I felt that everybody from the table loved it. Although the veggies were not as fresh as it should be, we still enjoyed the salad. This was the star of the day! 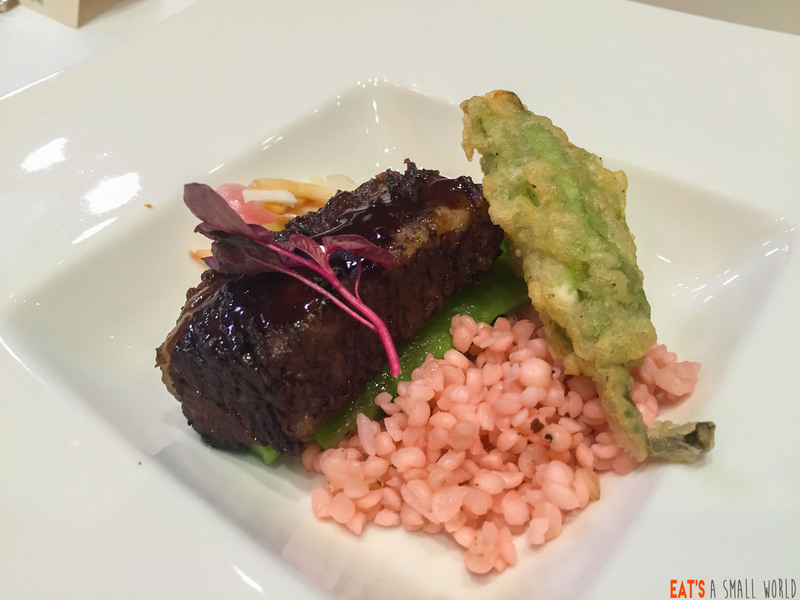 I was so impressed by the fusion of this Asian / Italian dish. 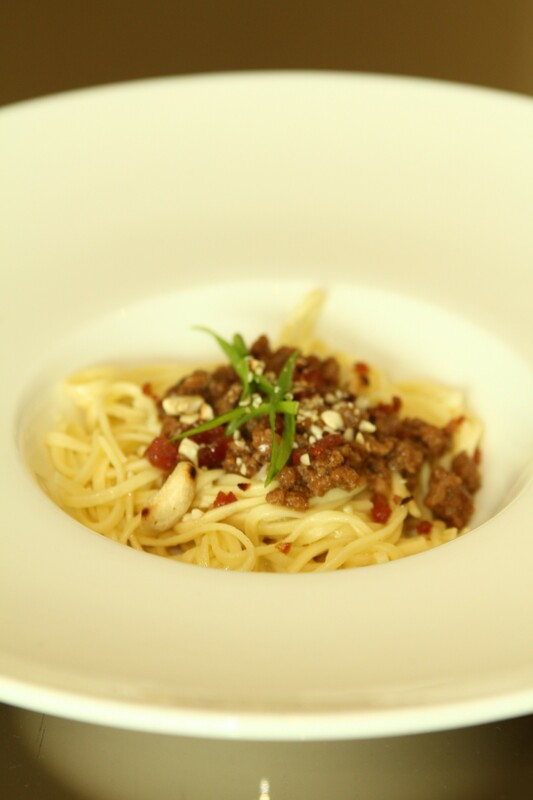 The minced pork was awesome and a perfect match for the al dente pasta. It’s a unique comfort food that everybody will love. 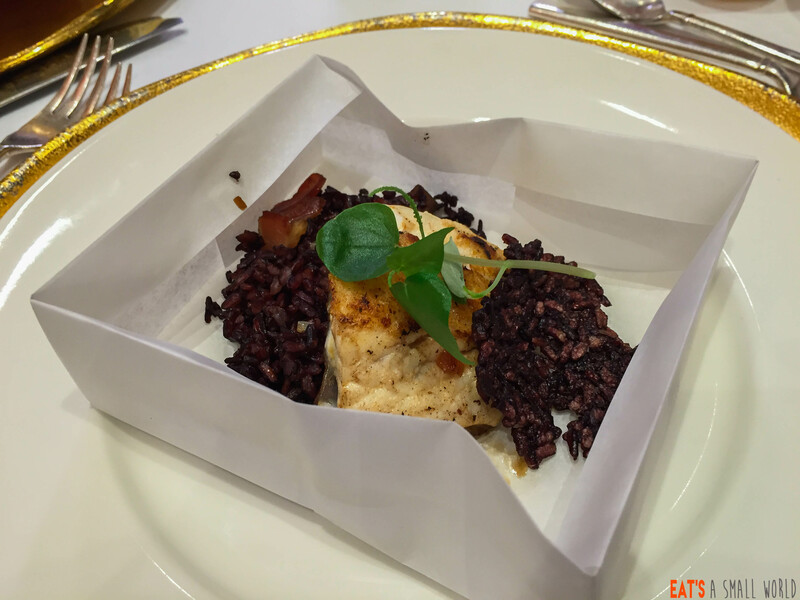 A fantastic “cooked in a bag” inspired dish made the Filipino way, the fish tasted very mild and was perfectly complemented by the black cordillera toasted rice. 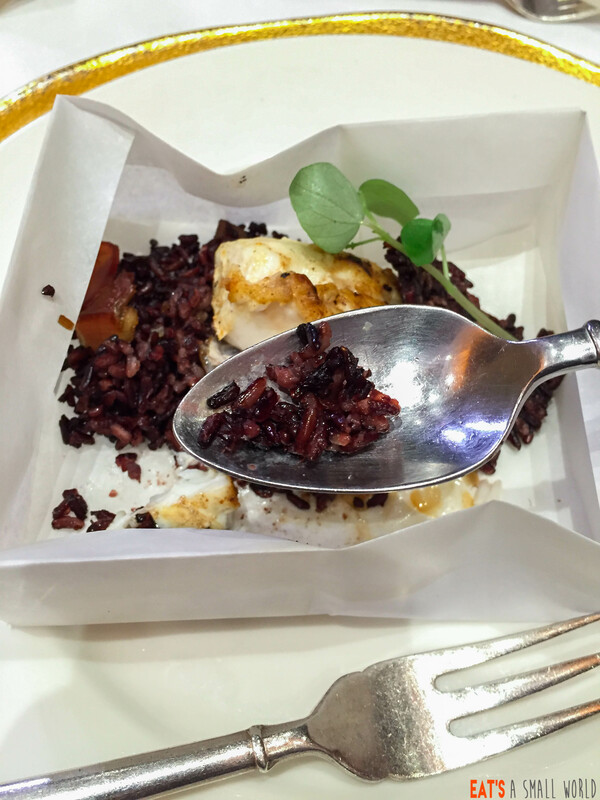 Honestly, I don’t enjoy eating “colored” rice but this dark brown Cordillera rice is an exception. I love its texture and its slightly “clay pot” aftertaste. The meat was absolutely tender and cooked the Filipino way. We loved the complimentary atchara (pickled ampalaya and palm heart). This was a crowd pleaser. The cream tasted exactly as what salted egg would taste like and it was an absolute hit! The sauce was made of coconut caramel with tapioca. 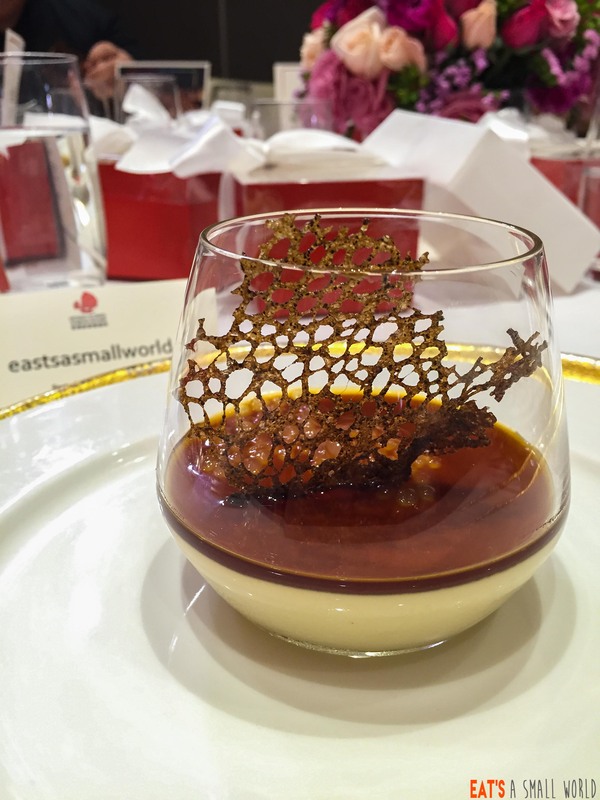 On top of the panna cotta was a “coral” made of Batangas coffee, which had a “barako” (very bold) taste. This was made to commemorate the celebration of Hong Kong Ocean Park’s 40th anniversary. Traditional Pinoy ensaymada sweetened with red beans and dipped with pili milk for a creamy finish. Super happy to have this picture with Chef Margarita “Gaita” Fores. 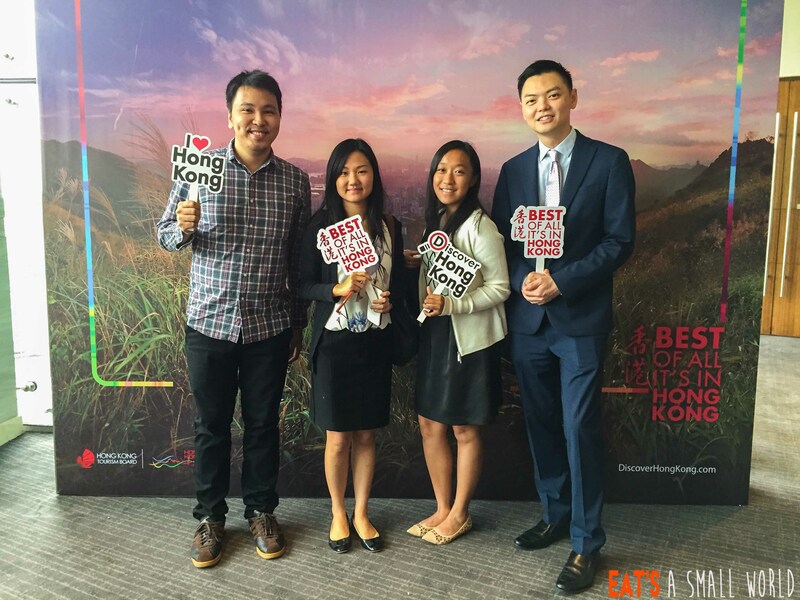 Another photo moment with Simon Wong, Regional Director SEA Hong Kong Tourism Board. And a chance to meet some new friends. Eat’s a Small World is thankful to be part of this event. It’s a great opportunity to know what Hong Kong has to offer to us Filipinos – and all the while we already knew so much. 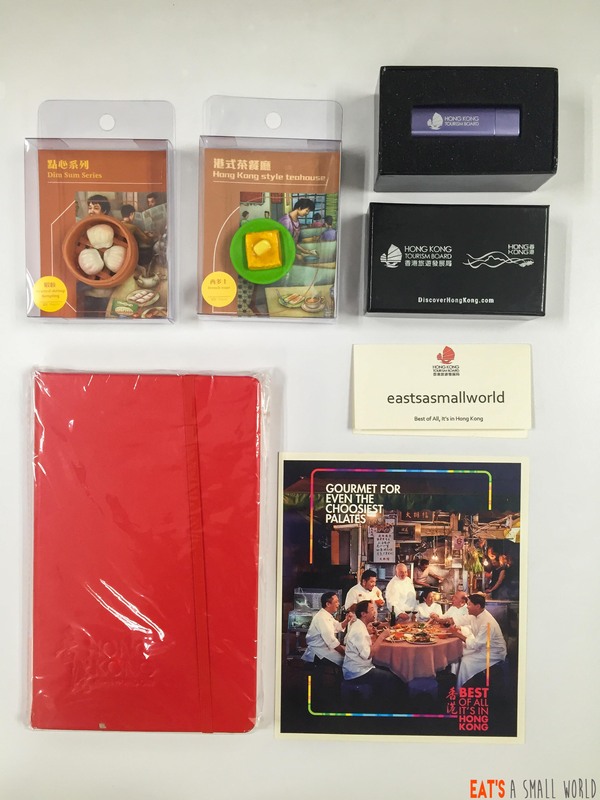 We can’t wait to visit this incredible country and be able to taste authentic Hong Kong street foods, experience Hong Kong Disneyland and share with you our photos and experiences! I heard that they already launched the Iron Man Experience – the first ever Marvel themed ride to be featured at a Disney park. More details on this link. For more information and if you want to get updates on how to maximize your experience to #discoverHongKong , visit their website and FB Page. 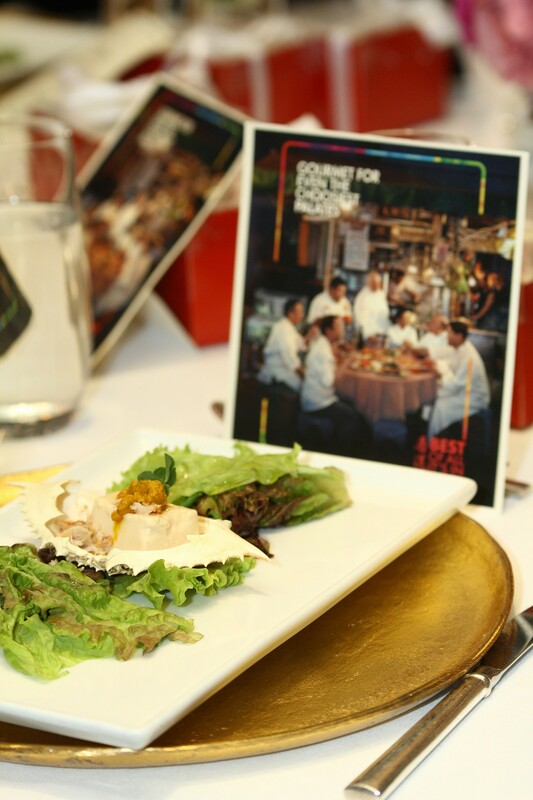 Everybody enjoyed the food and the new things that we learned from Hong Kong tourism. 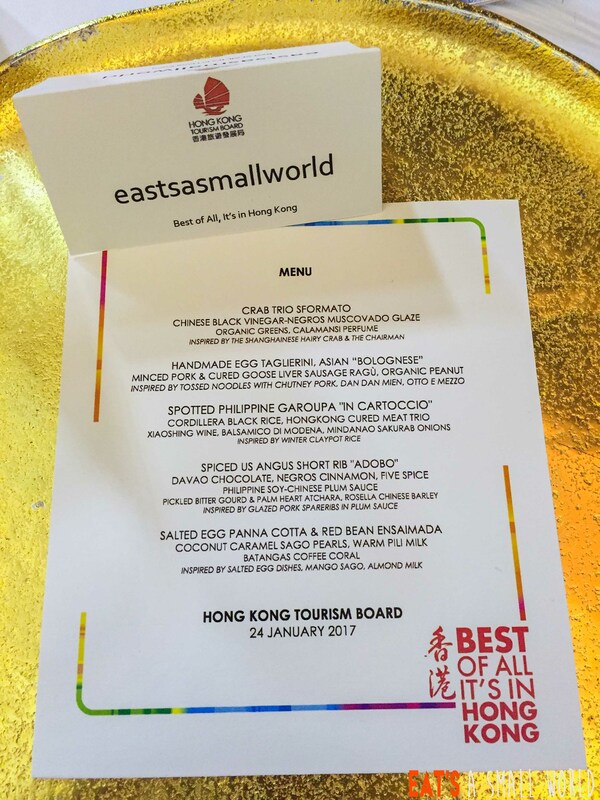 Many thanks to the Hong Kong Tourism Board, Buensalido Public Relations and Chef Margarita Fores for this wonderful event!